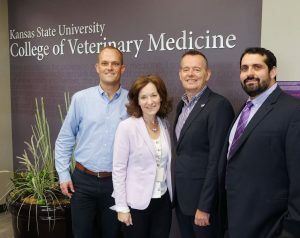 Bonnie Rush [second from left], interim dean of the College of Veterinary Medicine at Kansas State University, with Jesper Nordengaard, Jolle Kirpensteijn, and Omar Faria [left to right] from Hill’s Pet Nutrition. 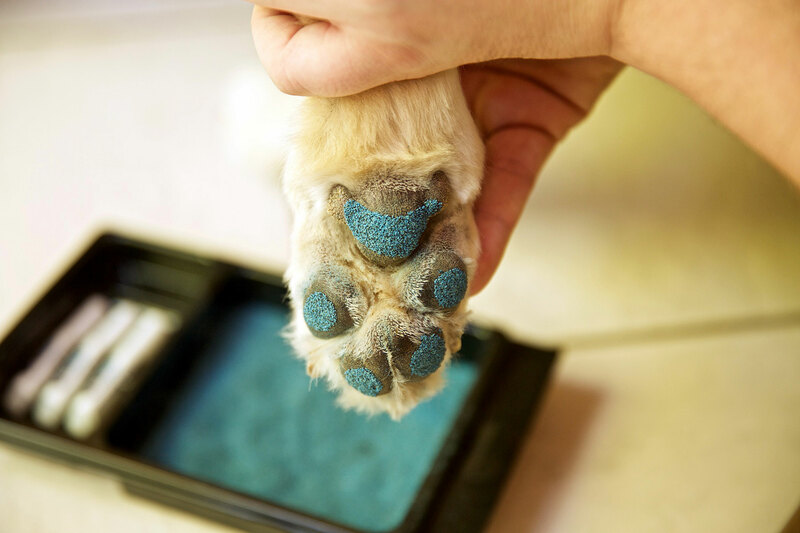 Kansas State University (KSU) College of Veterinary Medicine has received a record sponsorship by Hill’s Pet Nutrition to fund the school’s renovation of Mosier Hall. The new 1,486-m2 (16,000-sf) facility will be renamed Hill’s Pet Health and Nutrition Center. Neither the school nor the pet food company disclosed the donation amount. Dedicated to clinical training, classroom teaching, and research, the building will include a 464-m2 (5,000-sf) research suite and a 270-seat contemporary auditorium constructed in a new area of the veterinary medicine complex. 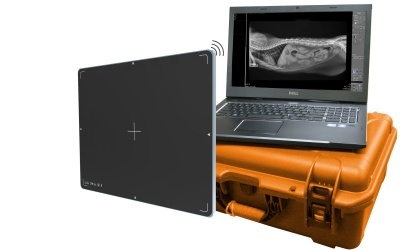 “This public-private partnership will enhance our educational capacity in small animal nutrition and client communication, strengthening the preparation of our graduates for success in private practice,” said Bonnie Rush, DVM, MS, DACVIM, interim dean of the college. The new center will provide more wellness training opportunities for students, additional space for routine procedures, and dedicated spaces for communication training, rounds nutritional displays, and nutrition consultation. 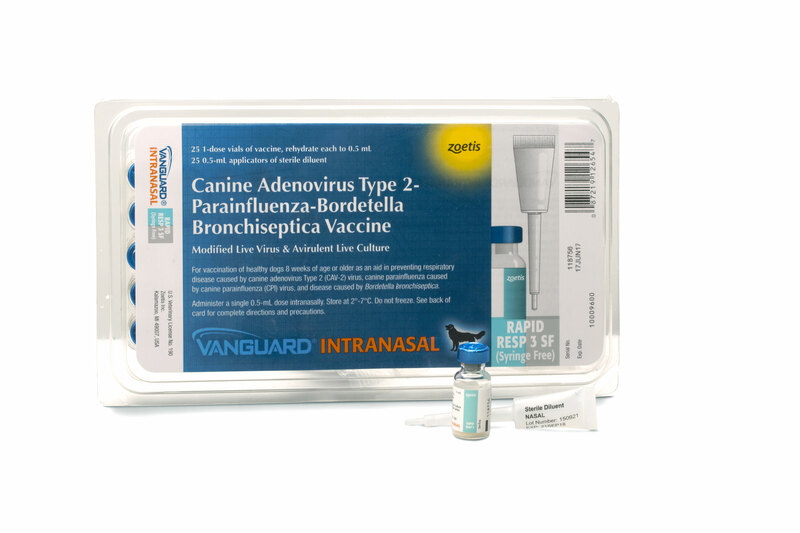 “We are truly excited and grateful to Hill’s for partnering with us to provide this opportunity to teach primary care skills in a facility more representative of a true companion animal practice,” said Susan Nelson, DVM, clinical professor at KSU College of Veterinary Medicine.